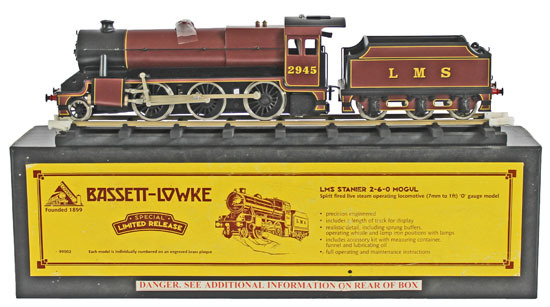 The sale began with the live steam section and this O Gauge Bassett-Lowke by Corgi LMS maroon Stanier Mogul 2-6-0 locomotive and tender realised £354. This was followed by this Gauge 1, Bassett-Lowke by Bing, electric black 513 Precursor 4-4-0 loco and tender, which sold for £413. The O Gauge section started very well with a mixed collection of locomotives, coaches, wagons and accessories realising £1,150. This Bassett-Lowke BR green 62453 Prince Charles 4-4-0 locomotive and tender No.3311/0 sold for £165. The scarce Bassett-Lowke LMS streamlined Princess Coronation’ Class 4-6-2 LMS 6220 Coronation static maroon locomotive and tender was most likely made in 1939 to promote the actual locomotive's visit to the 1939 New York World’s Fair and attracted some strong bidding, finally realising £2,124. And this Millbro (Mills Brothers) LNER 8173 brake/third class passenger coach realised £142. 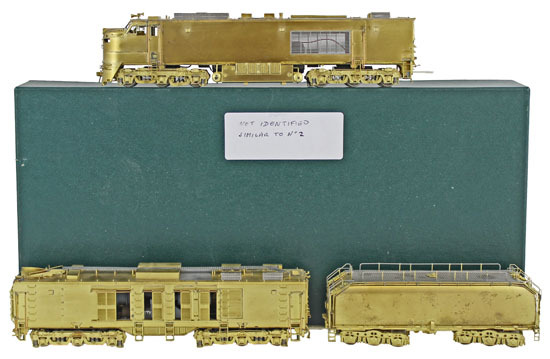 The sale contained a good selection of HO gauge brass locomotives including this Orion Models Union Pacific coal fired gas turbine locomotive which realised £495. 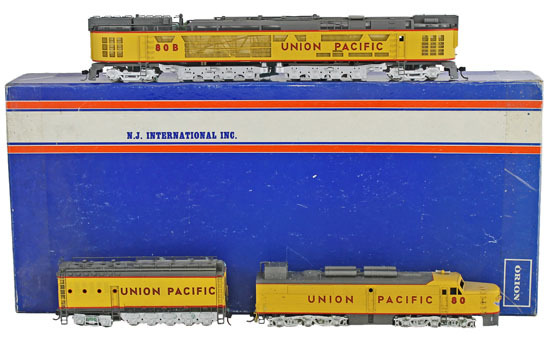 This Overland Models Inc American Outline No.5 1990 locomotive and tender made £318. In the Hornby Dublo section, this BR rebuilt ‘West Country’ Class 4-6-2 34042 Dorchester No.3235 realised £141. And this Class 501 Suburban EMU BR S.65326 No.3250 with BR S.77511 No.4150 sold for £212. Our next Model Railway auction will be held on Wednesday 16th November 2016. The full catalogue for this sale will be on our website in the next few weeks or keep an eye on our Twitter and Facebook pages which will include updates of our latest auction news.